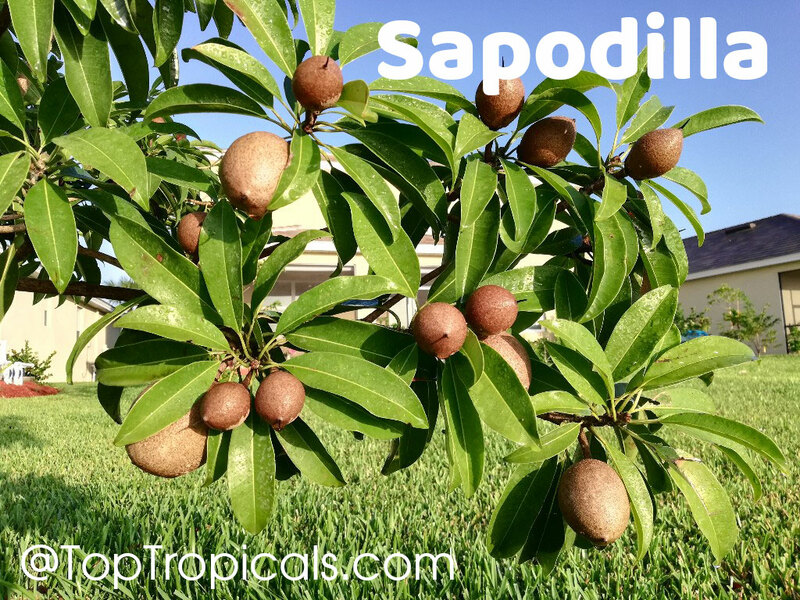 The Silas Woods is an outstanding variety of Sapodilla. The tree has dwarf growth habit (under 20 ft in the ground) and adapts well to a container. This variety is highly productive. 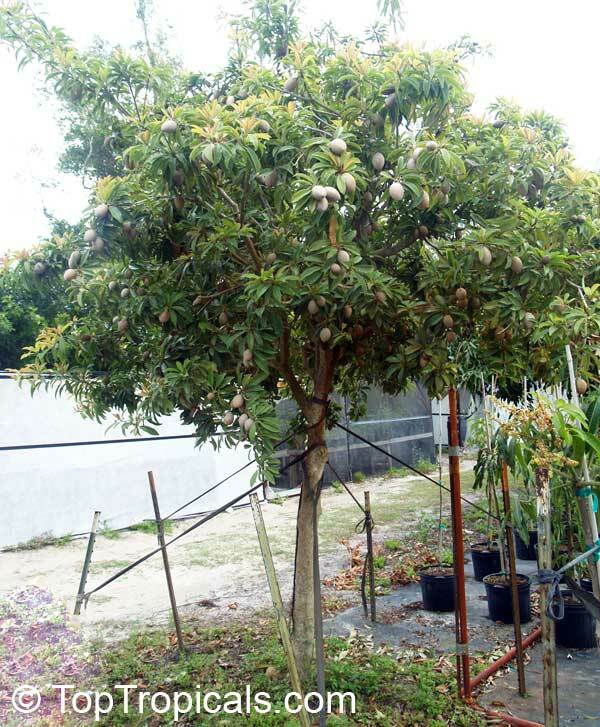 Trees are producing year round, the branches often require support as they get very heavily loaded with fruits. Perfect fruit tree for small yards and container culture!